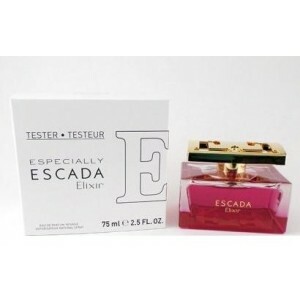 Escada Especially Elixir is a new, powerful interpretation of the rose fragrance that is Especially Escada from 2011. Unlike its first re-adaptation Especially Escada Delicate Notes from 2012, the new fragrance represents its intense version. This mysterious rose scent begins with pear, ambrette seed and grapefruit. laid on the base of patchouli, white musk, dry amber, cashmere and Madagascar vanilla. 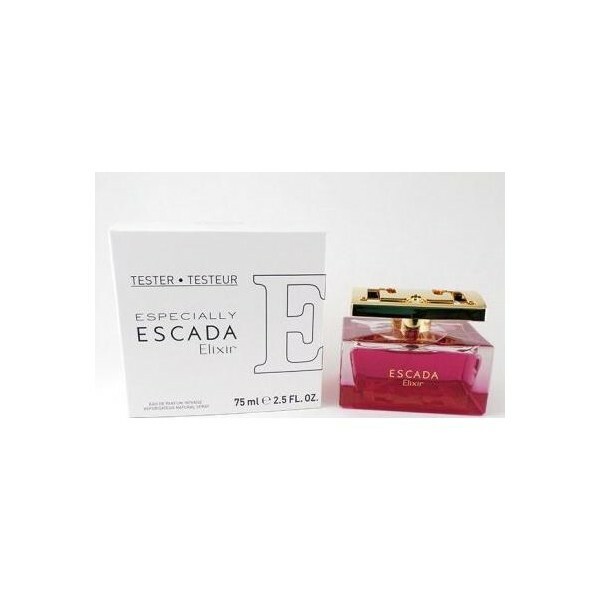 Beli tester parfum original Escada Especially Elixir for Women sekarang, harga termurah di Indonesia!! Nikmati promo dan penawaran eklusif parfum Escada hanya di bakul parfum.